Right part at the right price. The product is what I needed. Jack's has met my expectations. 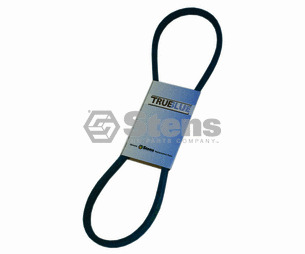 Ask us about the Stens 248035 True Blue Belt. Please no repair questions. Your Q&A may be posted to Jackssmallengines.com to help other shoppers, like you, with their purchasing decisions. Thank you. Does this belt have 6 spines on it or is it a "V" belt? Brent, this is a v belt.